So now that i have time to email im going to catch you up on some things that have been happening these past few weeks. Two weeks ago our zone went to something called cheetah experience. And what we were able to do was go into some cages and have some association with little baby cheetahs and other african cats which was pretty cool. One thing that surprised me though was in this giant compound of animals they had some wolves from canada which i thought was very awesome. They were pretty shy though so we didnt get very good pictures of them. Also on saturday we had another baptism!! I am truly feeling blessed by Heavenly Father by being able to help all these people come into the waters of baptism and start new lives as disciples of christ. I know that this is gods work and he has a plan for us. I hope that you all have a good week!! Remember that i love you all and that you need to keep reading you scriptures. Recently i have started the new testament which is powerful!! Elder Payne and friends at a baptism! 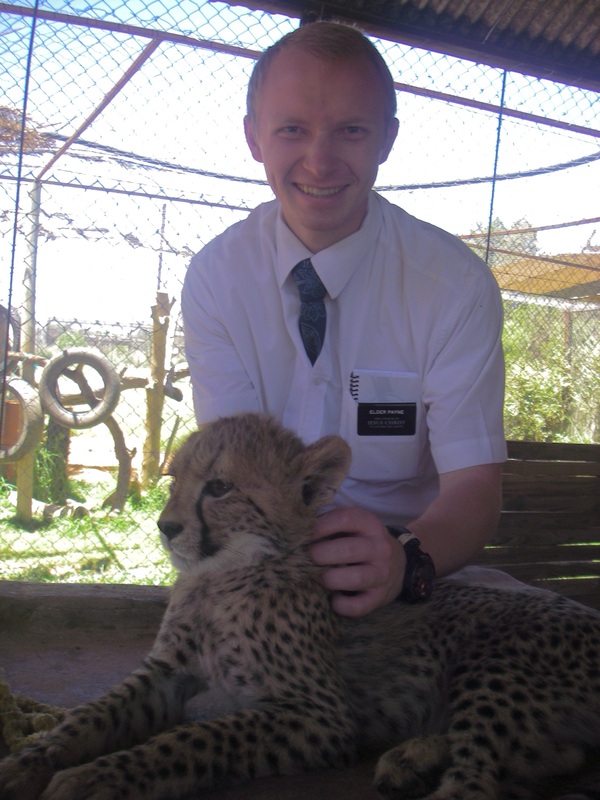 Elder Payne with a baby cheetah! 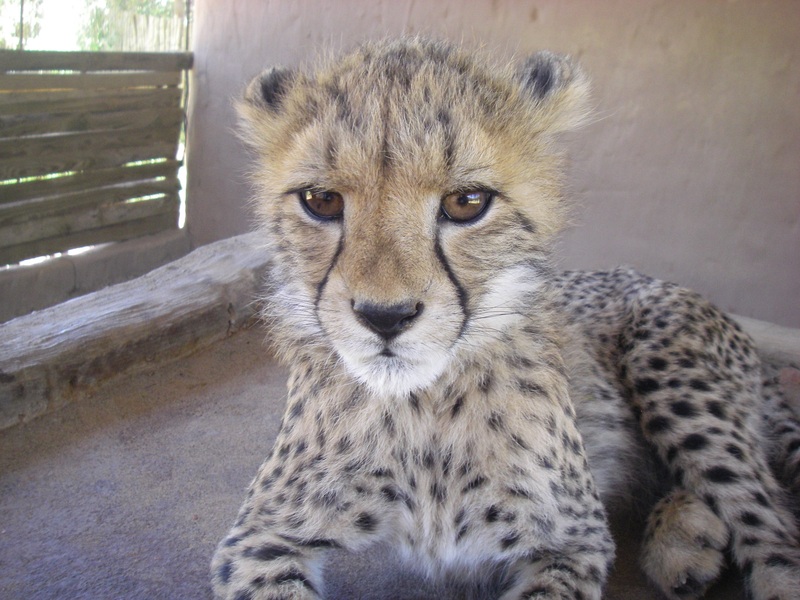 An cheetah cub at the Cheetah Experience.